In the quest of living your life more naturally and simply, finding organic makeup brands and products can be quite a nuisance. In that case, let’s not waste precious time and start with the Dr.Hauschka Rose Day Cream. The German company manufactures skincare products using nothing but eco-friendly methods. So this is exactly what you should expect from the day cream. That and smooth, soft skin. The highly absorbent cream replenishes every layer of your skin. It balances out the oil and moisture content, thus soothing and protecting all vulnerable spots. So the brand is popular for all the right reasons! Now here’s a product famous for an entirely different reason. It’s the Caudalie Vine Overnight Detox Oil. An organic blend like this is bound to be ranked as the step-up pick when it has the ability to offer exceptional overnight skin benefits. The dry, lightweight oil seeps deep into your skin to encourage cell renewal in the most natural manner. The detox formula promotes thorough elimination of toxins. That means bye-bye pollutants, dead cells, and free radicals. Everything that’s not best for the skin is flushed out during the night. That’s the kind of force you’re dealing with here! And who says that the best organic makeup products are expensive! Not unless there are options like the Ecco Bella All Natural Black Mascara. You should know that Ecco Bella has been flooding the market with nature-inspired, ethical, and high-quality cosmetics for over 15 years now. And this vegan, fragrance-free, gluten-free, and paraben-free mascara comes from that vast collection. It contains flower wax covered iron oxides and natural clay instead of shellac, animal by-products, and lacquer. Gentle in quality but superior in performance! Making a switch to organic makeup means using cosmetic products that are free of chemicals, toxins, alcohol. Between non-toxic and conventional products, the former is more favoured among people who do not want to harm the environment. In fact, organic makeup sales have elevated to a great extent since 2007. This is because the alternative to using makeup products that do not follow standard guidelines and are tested on animals is much better. The alternative is cruelty-free, chemical-free, and eco-friendly makeup. Primer: Primer is a formula-based item which is applied on the face. A primer is generally used to hide skin pores and make foundation last longer on the skin. Primer comes to good use for someone who spends most of her time outdoors. A primer is a good way to keep makeup on and make the skin look smooth and oil-free. Lipstick: Lipstick can also be a lip gloss, liner, plumper, or a lip butter. They are used to add color and texture. Along with many types of lipstick colors, you will also find different textures such as glass, matte, or lustre. Lipsticks come in two types of bases including gel base or water base. Some are manufactured waterproof, while some are intended to stay on the lips for hours on end. Foundation: Foundation is used to hide scars, pimples, pores, and other blemishes on the face. Applying a light coat of foundation can also help protect the skin against UV rays and dust. Mascara: Mascara is used to darken eyelashes. You can even say they’re used to exaggerate eyelashes. Most mascaras are waterproof and hypoallergenic. They do not make eyes water or cause allergies. The best way to use a mascara is to apply it with the help of an eyelash curler and a mascara primer. The latter acts as a protective coating between the eyelash and the mascara. It also helps the mascara stay longer on the eyelashes. Eye liner: An eye liner has the same purpose as that of a mascara; only it enhances the eyes. Eye liner is generally applied on top of the eye lids or under the eyes. They make the eyes look more magnified, active, and attractive. Eye liners are available in gel, liquid, or pencil form. Eye shadow: Eye shadow comes in a powder or cream base and is used to highlight above the eyelids. You can use a blend of many colors or a single one to create unique eye shadow effects. The most conventional way to apply eye shadow is with the help of an eyeshadow brush. Nail polish: Nail polish is used to color the fingernails and toenails. Other types of makeup items include makeup removers, cleansing creams, face masks, face wash, moisturizers, and exfoliants. The best way to determine the right product for you is to ask yourself this question – Would you scrub on your face ingredients that you wouldn’t mind eating? The correct answer to this question should be, “no.” Conventional standards claim that what goes on your skin is not necessarily best for you if you consume it orally. But that approach to skincare products is transforming today. You want ingredients that are eco-friendly, cruelty-free, and human-friendly. What you do not want are ingredients that are toxic, inflammatory, and harsh. With that in mind, here is a list of ingredients found in common makeup items from face creams to mascaras. Parabens are used in many items to enhance scent. It is used to attract attention toward it because of its strong, pleasant smell. Many face creams, lotions, and other cosmetic products contain parabens. Artificial fragrances can cause skin reactions and allergies. Most artificial fragrances are top allergens which could affect the upper respiratory system. Many lipsticks contain lead as its primary ingredient. Lead is also available in some foundations, face creams, and lotions. This chemical enters directly into your body which could disrupt your blood stream or become toxic for your body organs and tissues. Rubbing chemicals as harmful as lead can also lead to skin irritation, itching, and redness. Cosmetic phthalates are used to soften and moisturize the skin. It is popularly used in beauty products for dry skin. In earlier studies, the use of this chemical was directly linked to reproductive and developmental toxicants in animals. And modern studies prove that the same applies to humans. Benzoates contain sodium benzoate, parahydroxy, and benzoic acid. They’re used as preservatives in beauty products causing a number of skin problems, allergies, and asthma. The bright and appealing colors of makeup products is because they contain significant traces of artificial colors. Such dyes are linked to respiratory diseases, headaches, and blurred vision in many children and adults. Nitrosamines are found in almost all makeup products. It is present in small doses and is usually a combination of a few or more chemicals mixed together. Nitrosamines are not actual ingredients, but a collection of them. But by nature, they’re toxic. A lot of FDA-approved studies have linked nitrosamines to cancer and skin diseases. Formaldehyde is found in many baby shampoos and nail polish. It gets easily absorbed into the skin causing exposure to infections, allergies, and cancer. Increased exposure to formaldehyde can also lead to headaches, watering of the eyes, and asthma. One of the best things you can do for your beauty routine is set up a budget before buying the products. Both genders want the best organic makeup that money can buy. And this usually means spending a little bit extra than expected. But with a tight budget, you can buy the best foundations and moisturizers without compromising. The better you prepare for your beauty routine, the better the results for your skin health. Just because a beauty product looks attractive and that it contains natural ingredients doesn’t mean it’s best for your skin. It’s important to do your own research based on your skin type and reason for buying makeup. The first thing you need to know is what type of skin you have. Whether you have oil, dry, normal, or sensitive skin. Buying the wrong makeup items can cause skin irritation and blemishes. Plus, you wouldn’t want to waste your good money on a bad makeup product. Even if the product has a certified organic label on it, you must always look for the right ingredients. This means ingredients that are not preservatives, additives, dyes, or chemicals. What you should see on makeup are botanical ingredients that keep you healthy. Instead of buying products rich in parabens or lead, look for natural substitutes such as coconut oil, jojoba, aloe vera, rosemary herbs or thyme. Do you have wrinkles, or is your skin prone to acne because of sensitive pores? Even if the label of an organic makeup items tells you it’s best for oily or acne-prone skin, do not trust it immediately. You can either consult with your skin specialist or a dermatologist for further assistance. No matter which makeup you buy, if you do not buy sunscreen made of natural and eco-friendly ingredients, you’re exposed to skin diseases and cancer. Use lightweight sunscreen that you can add to your daily skincare routine; especially when you apply makeup such as foundation, lipstick, eye liner, or mascara often. This is important because many consumers consider price as the deciding factor for many organic products. It’s true that organic makeup is much more expensive than conventional beauty products. But that is so because “certified” products come with heavy-duty certifications. This makes products more expensive. However, conventional products aren’t manufactured with eco-friendly restrictions. And so, they do not have alliances or certification companies by their side. Look for products with the right ingredients list and labelling rather than a high price. You can opt for multiple cheap products as opposed to one mega-expensive product. So, you get versatility and convenience, all at a good price. It’s comforting to know that the top pick comes from one of the most well-known natural skincare/makeup companies. The Dr.Hauschka Rose Day Cream is manufactured by medical experts with the aim to complement skin biology and support long-term health. The combination of sustainability and natural medicine is the reason why you might be so inclined toward making the purchase immediately. The Dr.Hauschka Rose Day Cream has a rich content of roses. To be more specific, there are extracts of rose wax, rose blossoms, and rose hips. These wild extracts are further enriched using rose water along with the essential oil of Damask roses. So it’s no surprise that the outcome is what it is. A day cream that offers protective, soothing effects like no other! So now you know what kind of organic ingredients this best makeup formula is packed with. Your skin is bound to receive all the nurturing care it deserves during the day. Also, it is a highly absorbent day cream. It keeps both the oil and moisture content in check throughout the course of the entire day. So if what you require is a soothing moisturizer, you’ve found your perfect match. 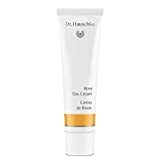 The Dr.Hauschka Rose Day Cream has a slightly thicker texture. Now this is not bad news except for those with excessively oily skin. But even in that case, you can always choose to reduce the quantity you apply on your skin. Day creams are not supposed to have this kind of consistency. But it’s not necessarily unacceptable if they do. So the same applies to this particular rose-rich formula by none other than the renowned German makeup company Dr. Hauschka. The product title reads Caudalie Vine Overnight Detox Oil. But to be honest, it doesn’t feel like oil, or cream for that matter. And that’s the best part. Once you apply this night formula, you’ll never want to know what skincare category it belongs to. The list of organic ingredients includes essential oils, Vitamin E, and Omega 6. The natural blend stimulates the one thing your skin demands at night. And that is cell renewal. This best organic makeup detox oil restores radiance by eliminating toxins. Such as pollutants, dead cells, and free radicals. It is a plant-based formula that has the ability to repair all damaging effects your skin experiences during the day. Like pollution, stress, lack of rest/sleep, and the list goes on. The consistency of the liquid is perfectly lightweight and dry. It enters every layer of the skin, which means cell renewal is well-supported throughout the night. So if you’re looking for a revitalizing night cream/oil to detoxify your skin, there’s no reason you shouldn’t opt for the Caudalie Vine Overnight Detox Oil. The best organic makeup does not necessarily have to be expensive. And the proof of that is the Ecco Bella All Natural Black Mascara. The manufacturer employs plant-based elements to produce beauty/skincare products that have been subjected to thorough clinical testing. Not on animals! Even harmful chemicals are not a part of the manufacturing process of this all-natural mascara. The brand doesn’t include alcohol, shellac, and lacquer either. Instead, what’s present is flower wax covered iron oxides and natural clay. The mascara lengthens and wraps around eyelashes to elongate them like none of its other competitors. You can achieve that perfect full lash, extended, volumized fringe. And that too without the existence of fragrance, gluten, and paraben! The black formula is gentle for sensitive eyes. And removing it is not a problem as well. Not all natural makeup brands combine such clean beauty with superior performance. But Ecco Bella has somehow managed to do that without using a single non-organic product. And that too with such a reasonable price tag! Every makeup kit is incomplete without a blush, isn’t it? Even though you might not use it much, it feels good to know that you have that option. 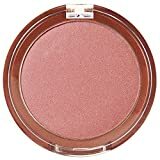 With this in mind, here’s the Mineral Fusion Blush. The brand name itself suggests that the blush is packed with tons of minerals. Mineral Fusion manufactures hypoallergenic, vegan cosmetics. All of them are supplemented with organically soothing ingredients and antioxidants. And the Mineral Fusion Blush is no different. The triple-milled, luxuriously silky minerals present in here provide a natural pop of color. So you can get that healthy and youthful cheek glow. But here’s the most enticing part. It’s an age-defying blend. That means it consists of several natural ingredients that defend your skin against potential damage by free radicals. These include red tea, white tea, sea kelp, pomegranate, and Vitamin E and C.
So that’s what’s present. Now here’s the much-needed missing ingredients list. No gluten, paraben, phthalate, fragrance, talc, etc. And despite the absence of strong chemicals, the Mineral Fusion Blush offers a long-lasting, luminous glow. So feel free to build layers of sheer color until you achieve the desired intensity. The product is available in bright pink, peach, coral-orange, coral-pink, matte rose, and mauve. The next must-have natural makeup essential is Jane Iredale Just Kissed Lip Stain. It’s a multipurpose cheek and lip stain that consists of only organic ingredients. These work toward enhancing the natural coloring of your lips and cheeks. It’s a long-lasting, non-drying stain capable of adjusting to your particular chemistry. And such an action seems to offer a flattering effect to the skin’s undertone. Jane Iredale cosmetics provide exceptional nurturing benefits. Healthy skin supplements and irresistible glow skincare; there’s everything you require to maintain your organic beauty routine. So it’s a relief to know that the Jane Iredale Just Kissed Lip Stain belongs to that collection. Each and every product of Jane Iredale is multifunctional, including this one. You get to choose form three different shades; all equally gorgeous and uplifting. There’s Forever Pink, Forever Peach, and Forever Red. All three do an excellent job of keeping your cheeks and lips moisturized. Much like any lip balm with a natural tint! 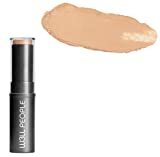 Every best organic makeup list would be incomplete without the W3LL PEOPLE Narcissist Foundation. Just the mere suggestion of this natural cosmetics brand is more than enough. The company combines the pureness of organic ingredients with high-performing formulas. And by that I don’t mean heavy-duty blends. In simple words, the W3LL PEOPLE Narcissist Foundation is subtle and light while also delivering flawless beauty coverage. The creamy foundation melts into your skin to give you a healthy, fresh glow. The formula provides a soft-focus, satin, weightless finish. At the same time, it balances out your skin tone and diminishes marks and spots. It comes in a stick design, which makes the foundation easy to carry. Another benefit of using stick foundation is no mess during application. You won’t find any crease, grease, or film in here. There are only non-GMO, gluten-free, EWG verified organic ingredients. The foundation blends pretty well, even for medium to light coverage. It doesn’t fade away over the course of the day. Oily skin doesn’t matter at this point either. And once you lay your hands on the product, you won’t get enough of the herbal scent it gives out. In all, the color is more natural when compared to other foundations. All the six shades; dark golden, fair golden, fair pink, medium neutral, medium pink, and rich mocha. There may be many natural cosmetic brands, but not all of them are certified like Inika. In fact, the company has won several awards for its products and mission. They aim to prove that you don’t necessarily have to compromise on quality when opting for a natural beauty routine. So here’s the Inika Certified Organic Eye Pencil. The use of fine botanical ingredients and earth minerals is what’s responsible for the success of the current item and brand. The effect this all-natural eyeliner provides is richly intense. Plus, you get the wonderful opportunity to pick from nine different shades. The creamy consistency of each pencil offers a soft texture. One that you can apply effortlessly and expect to last for longer hours without smudging! It’s possible to achieve a precise line along with natural smoky effects. On top of that, you’ll be relieved to know that the Inika Certified Organic Eye Pencil is free of harsh chemicals. It’s vegan and cruelty-free too. So you can rest assured knowing that you’re taking the natural approach without making any compromises. If you prefer a rich golden glow instead of a speckled bronzer, you’re in the right place. To top it off, this one is also made of all natural ingredients. It’s called the BareMinerals Invisible Bronze Powder. The four different shades include dark to deep, fair to light, medium, and tan. But to be honest, that’s not the most attractive part. The fact that the bronzer is equipped with carrot oil (cold pressed) is the thing that might peak your interest. The oil works like magic when it comes to providing that perfect silky feel. Also a part of the blend is fine pigments. What these do is offer even coverage. So there are no disappointments in terms of looks and quality. Due to the smooth texture, putting it on is an easy task. The organic formula blends nicely without looking sparkly or shiny. Now you should know that many bronzers can be used as eye shadows as well. And, fortunately, the BareMinerals Invisible Bronze Powder is one of them. The natural effect that the products of BareMinerals leave on the skin is probably the strongest reason why so many women opt for the brand. Even though the color looks overpowering, you’ll realize how light it is seconds after application. And there are only a few natural bronzers such as this that don’t make it seem like you’ve caked your face with makeup. Our skin, after being subjected to the outside environment, craves organic makeup essentials. Much like the REN Glycol Lactic Radiance Renewal Mask! It’s an effective peel-off facial mask that consists of bioactive ingredients. To be more specific, there’s pineapple, grape, lemon, and passion fruit present in here. Every single natural element has been added to improve skin health. For example, you’ll find papain derived from papaya, which eliminates dead cells and stimulates the growth of new ones. Expect the REN Glycol Lactic Radiance Renewal Mask to also reduce wrinkles and fine lines. It wipes out damaged skin cells, thus renewing complexion. All you have to do is leave it on for at least 10 minutes. After which your skin looks more radiant, healthier, and brighter. And not many people know this but the mask also fights blemishes, blackheads, and congestion. But it’s important to use the product generously on both the neck and face. It doesn’t cause any sort of irritation, so there’s no need to worry about that. You can apply it to get rid of acne scars and sun discoloration. Or to improve skin clarity and texture! Once you start noticing the positive change in your skin, you might not want to switch to any other all-natural brand. The Dr. Hauschka Facial Toner is one of the most beloved makeup products. Popular among women who want to look beautiful without harming the environment and their skin! That’s because Dr. Hauschka manufactures cosmetics, all of them, that improve skin biology. They combine sustainability and natural medicine to develop products that not only look good but feel healthy too. So let’s talk about the Dr. Hauschka Facial Toner. It is created to be a part of every natural facial cleansing process. And it doesn’t matter if your skin is dry or sensitive, the organic formula works exceptionally well in all cases. What the natural blend does is reduce pore elasticity to a great extent. It has the ability to balance out your skin’s moisture content. Leaving it feeling fresh, hydrated, and healthy! The smooth texture and pleasant smell are huge plus points. And the fact that the Dr. Hauschka Facial Toner has pore refining properties goes to show how much it can benefit your cells from within. Please note that sometimes even the best organic makeup gives rise to allergies. With that in mind, you don’t have to deal with any such issues when using the Dr. Hauschka Facial Toner. Choosing the best organic products over mainstream ones is becoming more and more popular now. Be it food, makeup, or skincare; men and women both are starting to care more deeply about what they use. Even if that means ditching strong chemicals to replace them with the best organic goodness! And this brings the best of the best brands into the picture. Much like Inika, W3LL PEOPLE, BareMinerals, Dr. Hauschka, Ecco Bella, Jane Iredale, and more! All the best products reviewed in this article are manufactured using top quality natural ingredients. Derived from organic sources that benefit the skin in ways you can’t even begin to imagine! Each and every best makeup product is now created using the all-natural method. Including foundation, bronzer, eyeliner, mascara, lipstick, face mask, detox oil, etc. So it doesn’t matter what you want; everything is available on the current market. Thanks to the growing popularity of the organic trend! Q. Does buying organic makeup have any drawbacks? Best organic beauty products do not contain preservatives. And according to modern sciences, preservatives are best for keeping microbes, bacteria, and germs away from cosmetic products. Contaminants are easy to latch on to makeup items such as lotions or face creams or lipstick when used for long. So, the lack of preservatives in “certified organic cosmetics” can be a problem. However, natural alternatives to chemical-based preservatives do help prevent bacterial contamination, but not for long. Organic beauty products aren’t meant for everyone. What this means is that when you use certified organic ingredients, chances are you may be allergic to some of them. Based on your skin type can you determine whether natural makeup items are best for you or not. Most organic makeup isn’t water resistant or waterproof. This is a major drawback to many who’d like some sort of protection from humidity, moisture, and water. It is very difficult to find certified organic makeup as much as it is difficult to find many color and texture options. The palate of the best organic makeup items are extremely limited. Q. What are the benefits of the best organic makeup? A. Eco-friendly and natural beauty products contain no traces of chemicals and preservatives. That much is well-established if you’ve come so far into reading this guide. On the flip side, the ingredients present in them have far-reaching health benefits for you. Plus, it saves the environment while you’re at it! No harsh chemicals: Even though the kind of chemicals and substances present in conventional makeup resist bacteria and improve skin texture, they enter your skin and cause allergic reactions and irritation. This may be the most likely circumstance in anyone with sensitive skin. With no traces of harsh chemicals found in organic makeup, it rules out the possibility of chemical poisoning or allergies. Many harsh chemicals influence the endocrine system; the most common ones are parabens and phthalates. By nature, they contain essential oils, vegetable oils, and other naturally-organic rich substances. This also includes vitamins, antioxidants, essential fatty acids, etc. processed by natural and chemical-free means. Such ingredients are best for resisting bacteria and improving skin texture and appearance. Fair trade: This is an environmentally-conscious label that only certified organic makeup items offer. It means the makeup products have been manufactured, tested, and packaged without conducting experiments on animals or harming the environment. Plenty of nutrients: One of the best parts about going organic is the amount of nutrients you get from them. Plus, you do not have to consume, but simply apply on your skin to reap the best health benefits of skin texture and appearance. When the skin absorbs certain nutrients, it keeps bacteria, infections, and dryness away. On the other hand, artificial preservatives can potentially damage the surface of the skin when applied regularly. Organic ingredients such as cocoa butter, essential fatty acids, tea tree extract, apricots, etc. offer antioxidant protection against skin damage or UV damage. They also improve skin elasticity and have a good anti-aging effect on adults. No artificial fragrance: It’s no surprise that you consider scent as a major factor for buying beauty products. A conventional product smells good because only because it contains a mixture of chemicals. Man-made fragrances can have negative side-effects such as allergies, skin irritation, and asthma. When you inhale these chemicals, you’re actually inhaling toxic compounds. Organic makeup items contain essential oils as their fragrance. They act as the natural perfumes of the world, to put it simply. Q. Which are the best standards and certification for makeup? If you’ve heard of Environmental Working Group, you have finally met the staple standard for organic beauty products. Environmental Working Group, or EWG, houses more than 2,500 cosmetic brands that are organic, 100% eco-friendly, and durable. Their mission is to provide straightforward and honest information about cosmetics and human health. And it also provides information about how certain cosmetic chemicals have an effect on human health. This means that if a product label houses many toxic chemicals, this goes unnoticed when it’s sold to a consumer. EWG is responsible for analysing over 70,000 products and 2,000 brands for their ingredients and manufacturing process. Another significant organic cosmetic labelling group is Ecocert. Ecocert is responsible for housing all organic and natural cosmetic products. It promotes the manufacturing of organic makeup using only renewable resources and eco-friendly processes. It restricts the use of GMO, nanoparticles, PEG, synthetic perfumes, dyes, and parabens. According to research, it even inhibits the use of chemicals in packaging and uses only biodegradable and recyclable materials in its packaging. All products that meet Ecocert standards must contain at least 95% of plant-derived ingreidents. This is for when products meet both organic and natural cosmetic standards. COSMOS is a renowned international standard for both organic and natural cosmetic products. It contains a branch – COSMOS Organic – which contains a minimum of 95% certified organic ingredients in a product. This includes all plant-based ingredients. None of the ingredients are genetically-modified or irritants. Q. Are mineral-based makeup items safe? A. Mineral makeup is a new trend among environmentally-conscious users. This approach remains unapproved by many dermatologists. However, mineral makeup means natural as it makes no use of non-renewable resources. Mineral makeup also has its roots in ancient history when people used to dig up the earth and find mineral deposits for color decoration, painting, etc. Mineral makeup consists of ingredients such as iron oxides, zinc oxides, and titanium oxides. These are micronized into tiny molecules that make up makeup. Is mineral makeup healthy for sensitive skin? The answer is yes. Many professional dermatologists recommend mineral makeup for sensitive skin. This is because it contains fewer harsh chemicals and irritants to improve texture and appearance. It’s commonly used for treating acne and blemishes. It doesn’t block pores and cause blackheads on the surface of the skin. Similarly, it is free of skin irritants which is needed for healthy skin ageing. According to further studies, mineral beauty products do not contain the kind of waxes, preservatives, and fragrances that are present in conventional products. Along with certain kinds of oxidized substances, mineral products contain antioxidants, vitamins, and other plant-based ingredients. And since they’re almost chemical-free, consumer opt for it faster than organic products. Mineral products are also much more accessible to consumer markets than organic. This makes mineral beauty products quite a catch for women looking for eco-friendly cosmetics. On a biological level, it doesn’t interfere with the endocrine system. It doesn’t have inflammatory properties and doesn’t impact the reproductive system. The fact that it’s fragrance-free means it doesn’t cause allergies or asthma or any other respiratory conditions. The calming effects of oxidized substances is considered best for acne, dryness, and skin irritation. This is why many brands target the use of mineral-based compounds in their natural cosmetic products. The best way to follow a healthy makeup routine is by opting for the Dr.Hauschka Rose Day Cream. Like the product title suggests, it is packed with rose extracts further enriched with the help of rose water. The content of Damask rose essential oil is also quite high. So you can expect the natural formula to offer protective, soothing skin benefits. This best cream is highly absorbent and penetrates all skin layers, especially the most delicate ones. It has the power to balance out your skin’s oil and moisture content. So your face remains smooth and soft throughout the course of the day. In short, the Dr.Hauschka Rose Day Cream is nothing but a remarkably soothing and best moisturizer. The brand offers a vast collection of cosmetics. So don’t be surprised to also find Dr. Hauschka cleansing milk, facial toner, lip care stick, bronzing tint, eye cream, regenerating serum, and more.